In 2011, Dominic O’Shea A.C.C.A., Gerard O’Donnell A.C.A. and Eamon Keane F.C.P.A. 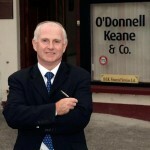 joined forces to create O’Shea & Associates, based in Kilrush, Co. Clare. Dominic O’Shea has accumulated wide and varied experience since he began work in public practice in 2001. 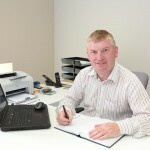 In 2007, he took over an existing practice in Kilkee/Kilrush and has been growing the business there ever since. The client portfolio of O’Shea & Associates is diverse to say the least. It is made up of small, medium and large enterprises in a variety of sectors including farming, construction, professional services, local retail and manufacturing enterprises. Whatever your activity or sector, the emphasis at O’Shea & Associates is on growing your business and making it work for you. 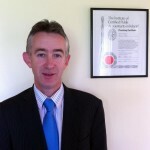 Eamon Keane is a member of the Institute of Certified Public Accountants in Ireland. He has extensive experience in Auditing, Industrial Management, Financial Accounting, Cost Accounting and Personnel. Eamon has worked in public practice since 1980 and specialises in the auditing, industrial and legal side of the business. Gerard O’Donnell holds a Bachelor of Commerce from NUIG. A member of the Institute of Chartered Accountants, Gerard has considerable experience in Management and Financial Accounting, Auditing and Corporate Taxation. Gerard has worked in public practice since 1985 and has handled a wide range of clients. We at O’Shea & Associates are always happy to talk to you. Call (065) 906 2451 to arrange an appointment that suits you. Remember – what may be a small step for you could be a big step for your business.